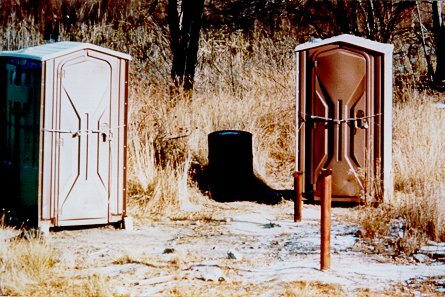 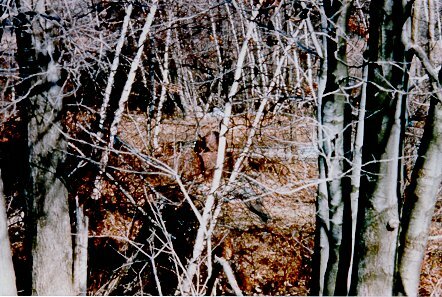 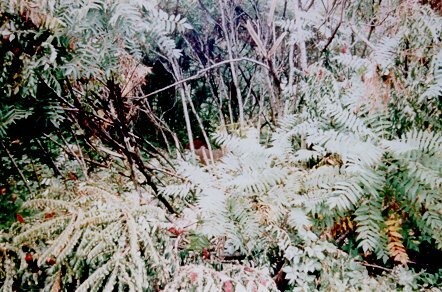 These photos are from the original site investigation made by the plaintiffs. 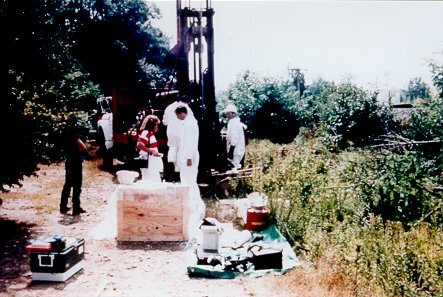 The photos were provided by John Drobinski, the geologist who led the investigation. 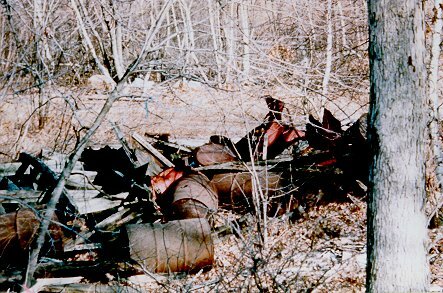 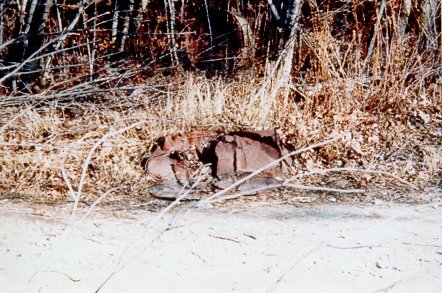 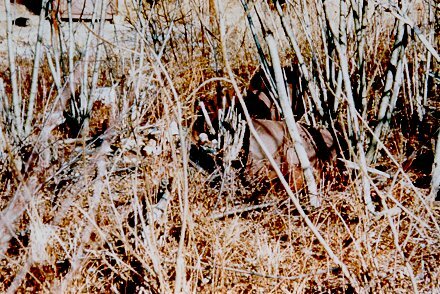 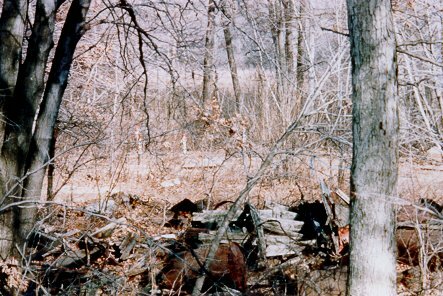 Many of the photos illustrate rusted 50 gallon drums and other debris that were found at the "fifteen acre" site. 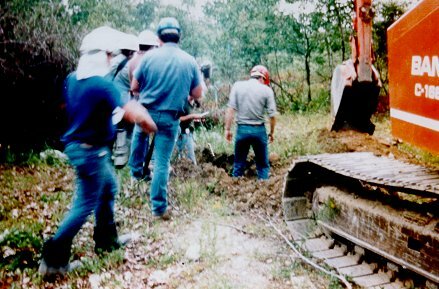 Digging an exploratory trench. 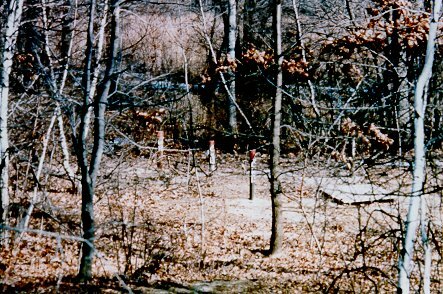 The man in the trench with the red hard hat is Jan Schlictman. 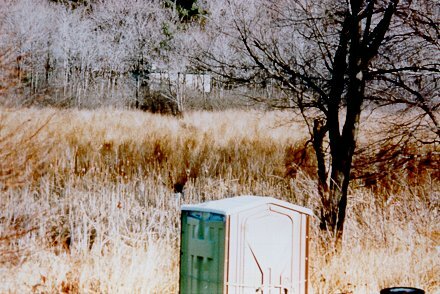 Looking East across the marsh. 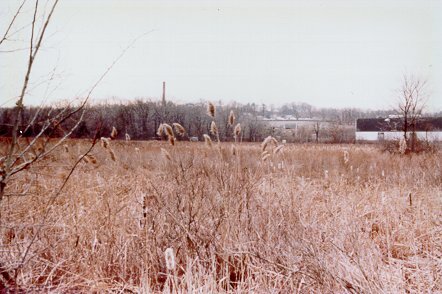 Notice the Riley Tannery smokestack in the background. 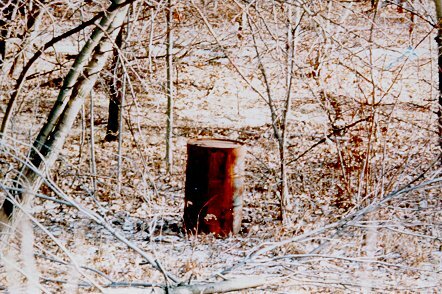 50 gallon drum in the fifteen acres. 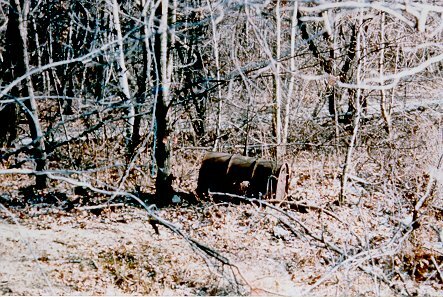 50 gallon drums and other debris in the fifteen acres. 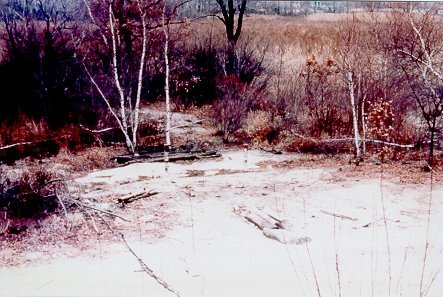 Click here to return to the Woburn Hydrogeology Data Photo Gallery.